Total Lunar Eclipse of October 8, 2014, observed T250, Australia, north of Katherine. Nice atmosphere in the twilight moonrise partially eclipsed silhouetted against the red cliffs. 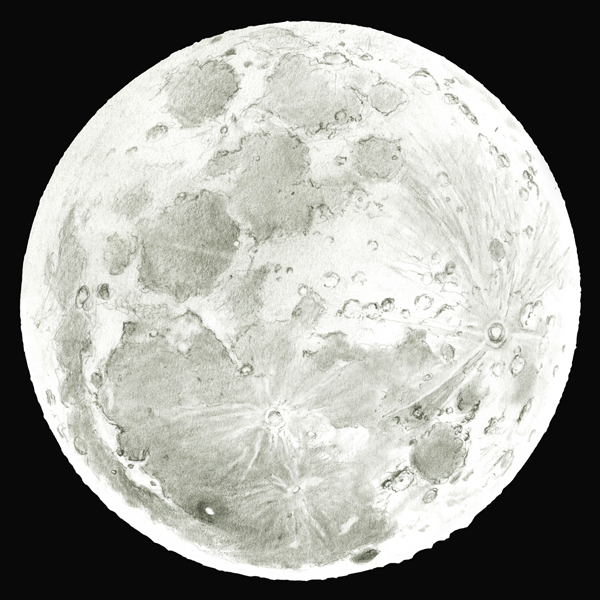 This string is selected among the eight drawings, sketches showing the COLLECTED colors and visibility of lunar formations. Full Moon déssinée the eve of the eclipse. It served as the background image for the realization of the rosary. 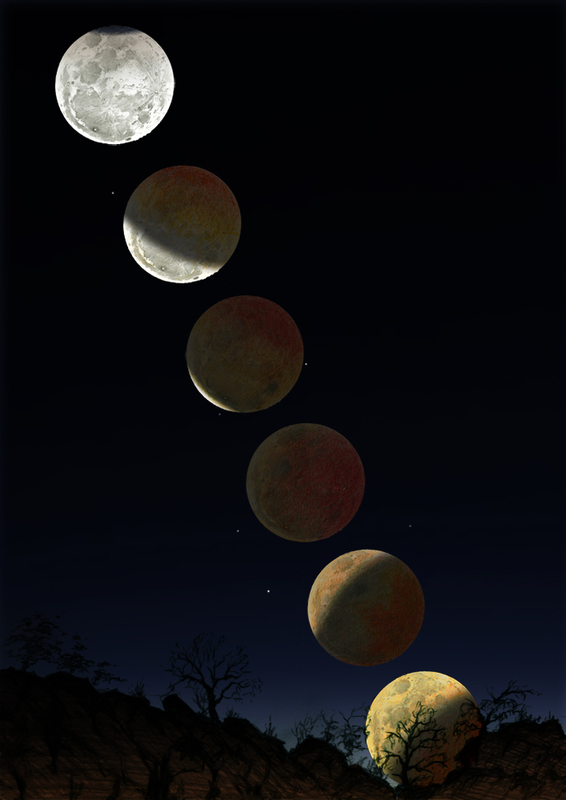 This is a most impressive sequence of the last lunar eclipse. It is so much nicer than a photo sequence. Astonishingly beautiful! That’s a real masterpiece. I could not see this lunar eclipse from São Paulo, Brazil. Thanks for sharing it. The eclipse sequence is outstanding, really nice work! Wow, that full moon is awesome. And the coloured sequence is stunning. A Brilliant work Serge.